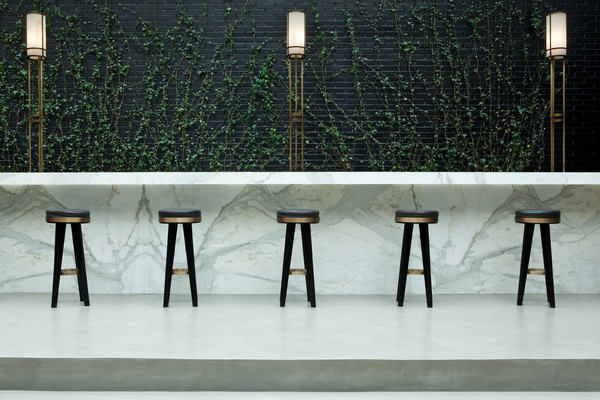 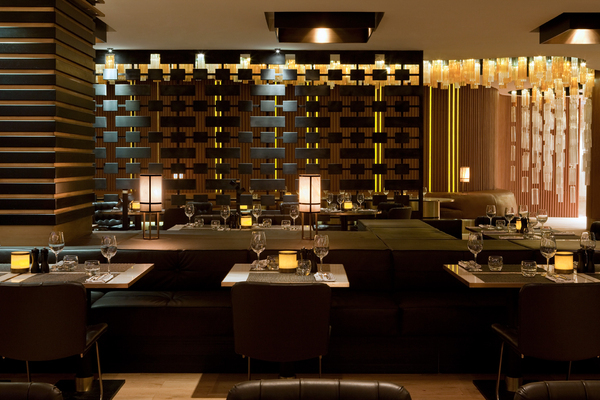 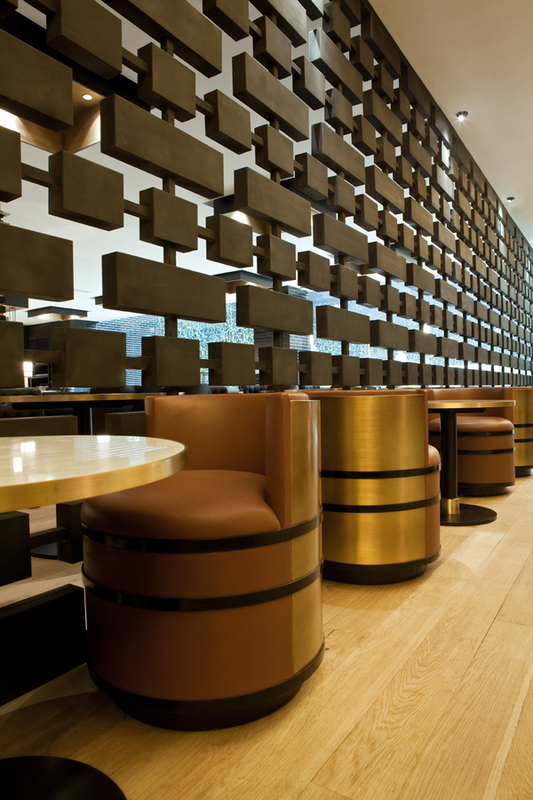 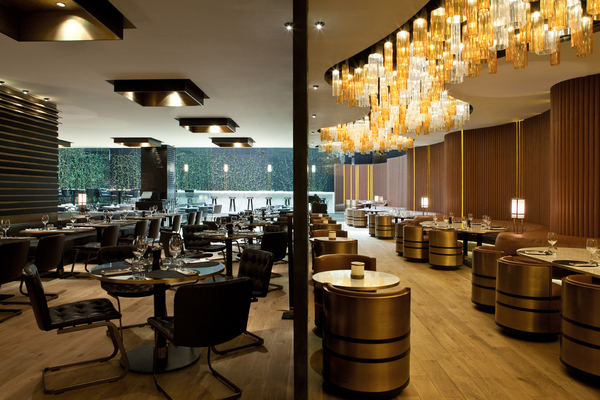 Monaco-based architecture studio Humbert & Poyet have designed the interior for Beef Bar in Mexico City and Monaco. 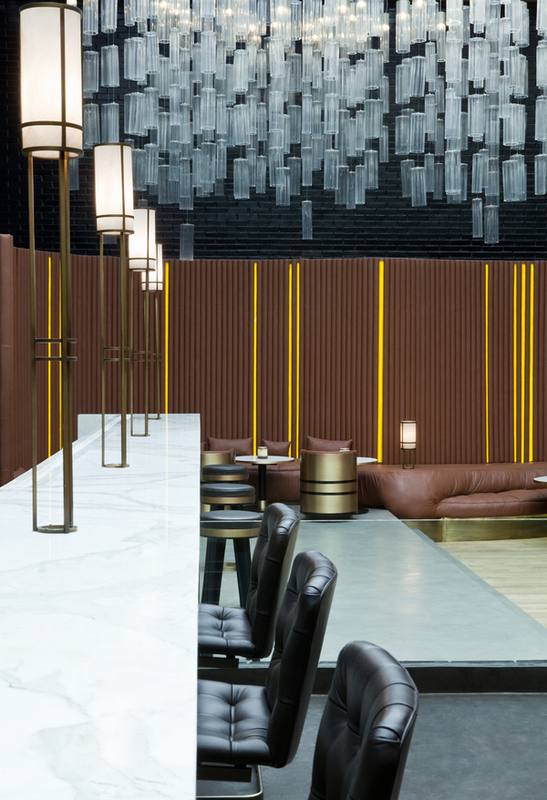 The studio was started by Emil Humbert and Christophe Poyet and have taken both interior based projects as well as more architecture based projects. 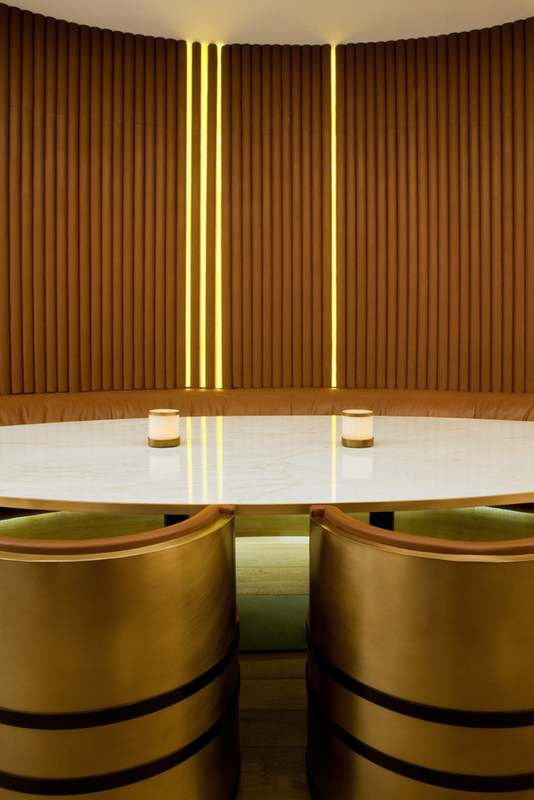 Beef Bar is designed with respect for raw materials contrasted by refined glass and mirror work that gives the space en elegant yet earthy feel. 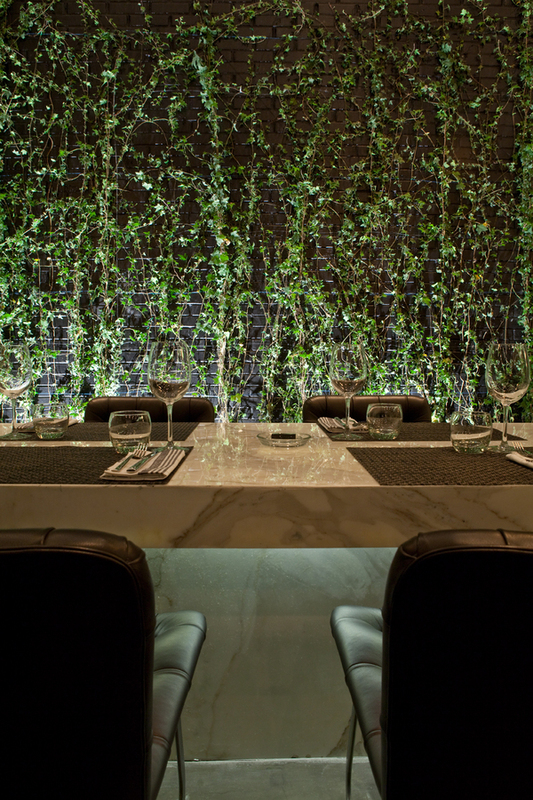 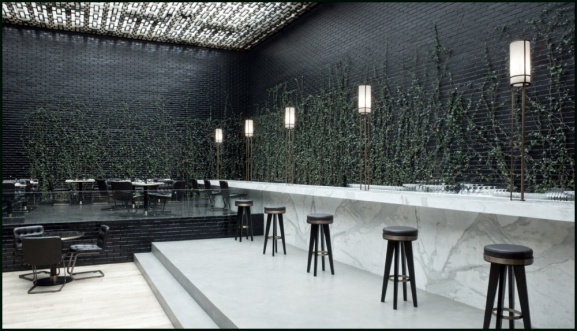 One of the feature pieces is the white marble bar with a vertical garden behind to exagggerate the clean feel of the pure white stone. 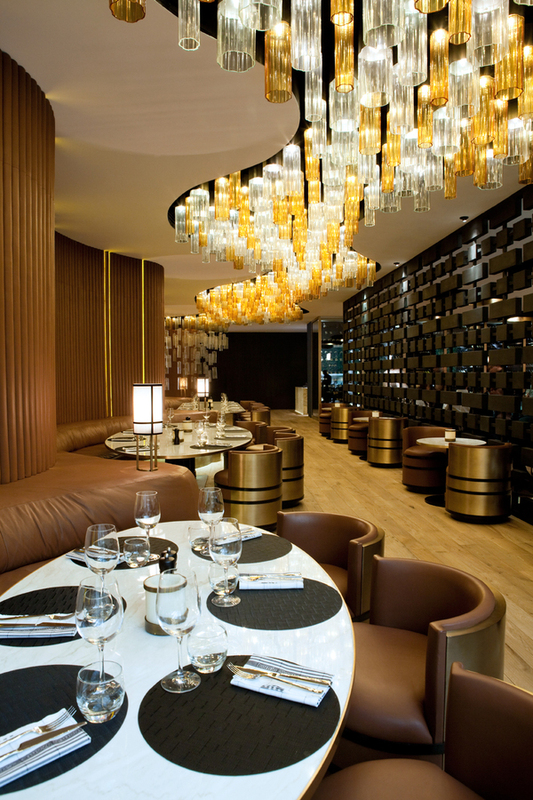 Another feature is the handcut glass installation that makes its way through the ceiling of the entire restaurant. 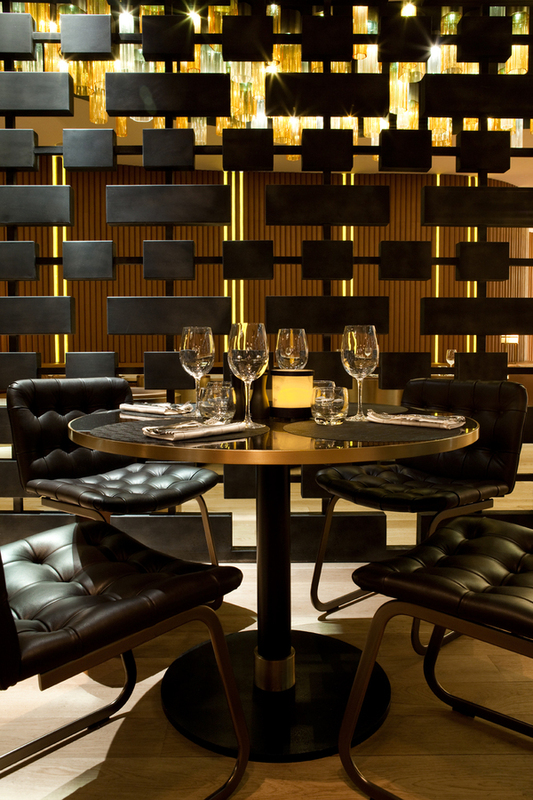 Other than both of the restaurants are made up from timber, brass and cognac coloured upholstery and padded walls and a more dark area for the bar with black stone tiles and black metal furniture.. A wonderous place to eat your beautifully served beef.